The DEE (Data Exchange Environment) is a platform for the integration of isolated applications. It co-ordinates and controls the data exchanges between the different applications. The DEE uses an Extensible Reference Model (ERM) that gives a global and unifying view of the manipulated data. The MO-MER Model is an object oriented model, facilitating the extendibility of the ERM, because its Meta-level allows the addition and the modification of the manipulated concepts. The extendibility of the ERM is ensured by schema evolution methods that go with the MO-MER model. These methods allow the update of the ERM during its life cycle. 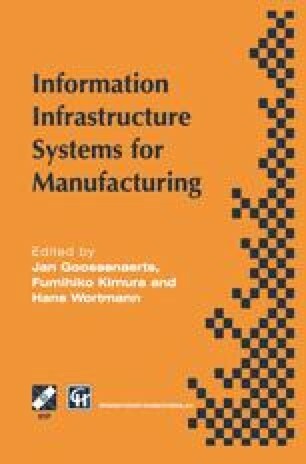 CIM (Computer Integrated Manufacturing) integration databases data exchanges data modelling Object Oriented Model.